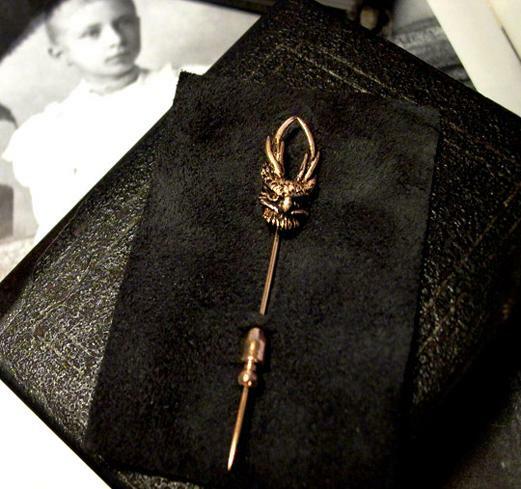 Old Soul Stickpin — Handcrafted 18k solid yellow gold, with handcrafted Linden Wood "Book Box." Our favorite piece....timeless and elegant accent for your most wonderous clothing. Limited Edition.